The vibrancy of this Shul is exemplified by inspirational sermons, the Torah study group, the Sisterhood, and in so many other members who make up our congregation. Touched by the spirit of the Shechinah, the Shul is accepting, while holding to "Yiddishkeit", and its members work together to build a community that fans the flame of Judaism and teaches that, indeed, the Leviticus call for justice and love of neighbor is the by-word of a cogent, loving community. Founded in 1909 in a Mount Clemens home, the original Synagogue was completed and dedicated for the High Holy Days Celebrations. So, too, this website was completed and dedicated in time for the 5770/2009 High Holy Days. The history of Congregation Beth Tephilath Moses is filled with trials, tribulations and successes, and a long line of rabbis…starting with Rabbi A. Kahn in 1924. Currently, the members perform all services since Rabbi Mordechai Waldman retired in Fall 2010. The Shul is blessed with many amazing and talented members. Special thanks to Stan Newman, former Editor of the Battalion Newspaper, Dr. Robert Shore (President), Kay Schwarzberg (Education Director/Editor of Mount Clemens Kosher Cookbook), Roger Skully (photographer), and Judit Wolf (Congregation Beth Tephilath Moses history-holder), who all helped inspire the web content. The early 1900’s saw the area’s mineral baths bring over 40,000 visitors to “Bath City” each summer. As the Jewish population grew, community members Meyer Davis and Moses Reh established a synagogue at a home on South Walnut in 1909. 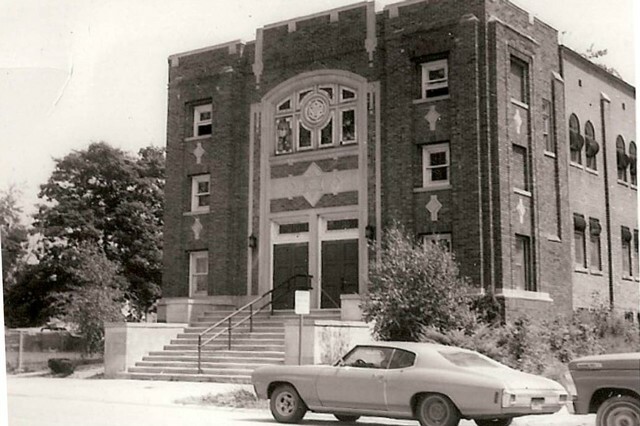 The new building on Gratiot was dedicated in 1921 for High Holy Day celebrations, and subsequently was replaced by the current building, dedicated in 1977. The visionary building committee members who led the way are Martin Rubin, Harvey Gordenker and Nate Litvin. Wonderful people, of blessed memory, worked diligently to maintain the Shul: "Reb" Max Schwartz, Lou Davis, Sam Heinfling and his wife, Blanche, Helen Liberman, and Ed Robinson, among others. 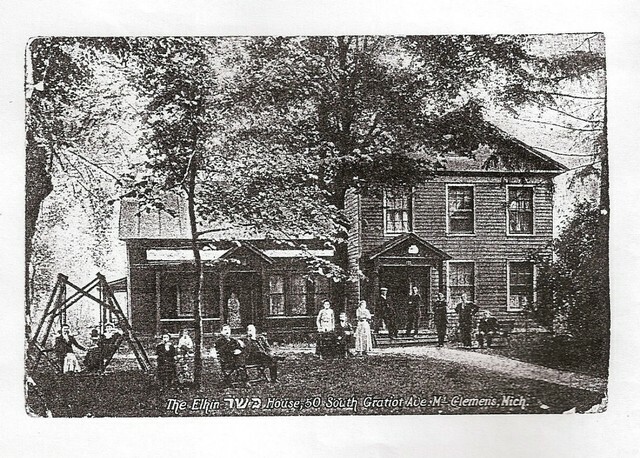 These families remain active to this day, including Michael Schwartz, Jeff Heinfling, his wife Jen, Ed's wife Mary (who prepares Kiddush), and his sons, Jack and Rob, (who do everything from building maintenance to serving on the Bimah). The Davis, Goldberg, Hauptman, Rubin and Schwartz families were strong members of the original congregation and their presence today influences current membership. New people have come to join in the community and kept it vibrant and growing after 100 years of servicing the community. Congregation Beth Tephilath Moses in Mt. Clemens celebrated its 100th Anniversary August 1st, 2009 with Shabbat Services, lavish Kiddush luncheon, Cocktail Party and a barbeque with live music on August 2nd, 2009. Family members and friends with ties to BTM came ‘home’ to join in the festivities. Over 100 people attended EACH event during the 2-day celebration! Shabbat Service witnessed (9) women celebrating their Bat Mitzvah. A Silent Auction added to the fun-filled Cocktail Party as well as the launch of Congregation Beth Tephilath Moses heritage cookbook, “Mount Clemens Kosher”, with great recipes and a pictorial history of the Macomb County community, families, friends, the original building and the beautiful stained-glass windows. Cookbook has a built in stand, teachings, blank pages to add your own recipes and a family tree you complete to add your own family history! To order a copy today visit our store.